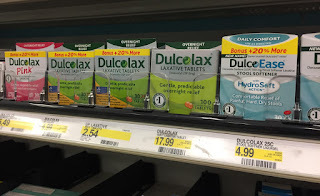 The Target Saver: Target: DulcoEase Stool Softener- FREE!! Target: DulcoEase Stool Softener- FREE!! Here's a great Target Freebie! Save on DulcoEase Stool Softener with a new $5.00 printable coupon. Use this coupon at Target to grab a 25-count box for FREE!